A commitment to excellence in client care and client service. These values and looking after clients well has enabled Michael Lynch Family Lawyers to provide a highly regarded Specialist Family Law service. One that protects your rights and ensures that the best outcome is achieved for you and your family. 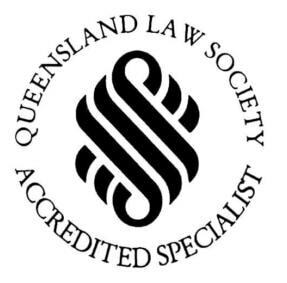 We are one of the largest Family Law practices in Queensland and most of our lawyers are Accredited Specialists in Family Law. All of our solicitors are dedicated solely to Family Law. Our professional staff are well supported by our experienced support staff. If you are involved in a Family Law dispute, you need an Accredited Specialist Family Lawyer on your side. The combined Family Law experience of the Michael Lynch Family Lawyers totals over 100 years. This experience enables Michael Lynch Family Lawyers to provide expert and focused advice that is sensitive to the many financial, social, and emotional issues experienced in Family Law. Such a wealth of professional experience also brings with it extensive contacts and a detailed practice and industry knowledge. Our wealth of experience has provided us with exposure to a broad cross-section of matters and clientele. That experience extends from initial client advice to large and complex litigation. We’ve acted for every type of family law client – from infant children (as an Independent Children’s Lawyer) to high-profile personalities of national recognition. We offer mediation and other forms of negotiation tailored to suit your circumstances. We will work with you to secure an outcome that is best for you and your family. Client confidentiality is of the utmost importance and we pride ourselves on seeing no matter as too big or too small, all matters are treated with the same personalised care and attention. All of our clients are valuable to us. For over 20 years, we have been actively involved in supporting many of Brisbane’s community legal centres, including Caxton Legal Service and Women’s Legal Service. Michael Lynch Family Lawyers has an enviable reputation as not only a leader in professional staff training and expertise, but also in the development of client education resources. 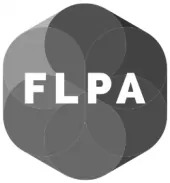 Our aim is to assist in simplifying the complex and ever-changing field of Family Law.